Hudson Taylor – made up of Alfie and Harry Hudson Taylor - have announced details of the Feel It Again EP, to be released on the 23rdMarch via Rubyworks. The EP comes off the back of a sold-out headline UK and European tour, including a night at London’s Scala, and will coincide with their Irish tour in March that will see the band play Dublin’s prestigious Olympia Theatre on the 27th March. More UK festival shows are set to be announced soon. Showcasing the duo’s more band-inflected sound, the Feel It Again EP comes off the back of this year’s single ‘Run With Me’ and the EPs title track, released in the autumn of 2017, the duo’s first new music since their critically-acclaimed debut album Singing For Strangers came out in 2015, both included on the EP. The EP also includes three brand new tracks, all debuted on their decent UK tour. From the Ryan Adams-esque acoustic overtures of ‘Old Soul,’ complete with backing vocals courtesy of Gabrielle Aplin, to the Americana leanings of ‘Easy Baby’ and the alt-country singalong ‘Travellin’,’ the Feel It Again EP finds the duo expanding their sound and musical palette. All tracks on the EP have been produced by Ryan Hadlock, known for his work with The Lumineers and Vance Joy. Alongside the duo’s full band Irish tour, including bass, drums, keyboards, violin player and the duo’s sister Holly providing backing vocals, they will also embark on a 13-date tour of the US in support of Gabrielle Aplin, starting on the 21st February and finishing up on the 11thMarch. 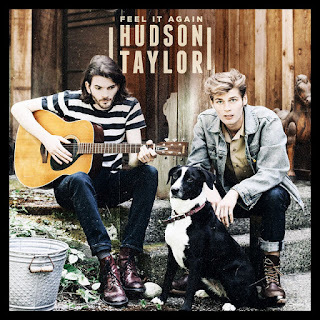 The full list of Hudson Taylor tour dates are below.